Here at Dennis Dillon FIAT in Boise, ID we know drivers don’t want a used car that’ll pinch the pocketbook. That’s why we’re delighted to offer 75 used cars, trucks and SUVs for sale for drivers from Nampa to Ontario, OR. There are plenty of reasons to choose a reputable dealership over a private vendor for your used needs, and one of those reasons is the added confidence in knowing you won’t get a lemon. In other words, we inspect your next pre-owned vehicle for quality. We offer used cars from all manufacturers, so it’s worth your while to explore our inventory online before you schedule a test drive around greater Boise today. 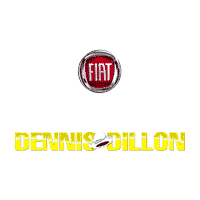 Why Buy a Used Car from Dennis Dillon FIAT? Once you’ve made up your mind on the used vehicle of your dreams, contact us online from Meridian and schedule your appointment. You’ll quickly see why nobody beats a Dennis Dillon deal.